Top of mind for security professionals, given today’s increasingly hostile threatscape, is the mass casualty incident. Everything from what we can do to reverse this cultural trend toward violence to how we should react in the event of such an incident must be considered. In times of crisis, seasoned security professionals are likely to return to the basics to find a solution to new problems. One of these basics is the security principle of establishing concentric rings of security or layers of protection. To find out how one company is providing innovative solutions for shoring up and expanding the perimeter ring of protection we met with Douglas Miorandi, Director of Federal Programs & High Security for Metrasens. A British company with clients in well over 30 countries, Metrasens manufacturers ferromagnetic detectors. 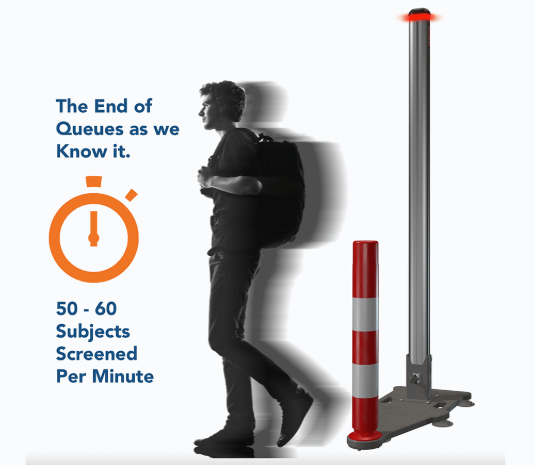 If you haven’t taken a good look at these screening technologies lately, you might be surprised at what is now possible. With a high throughput device such as this, your guests will not need to divest themselves of anything. They can keep their jackets and backpacks on. The sensor will see right through them. 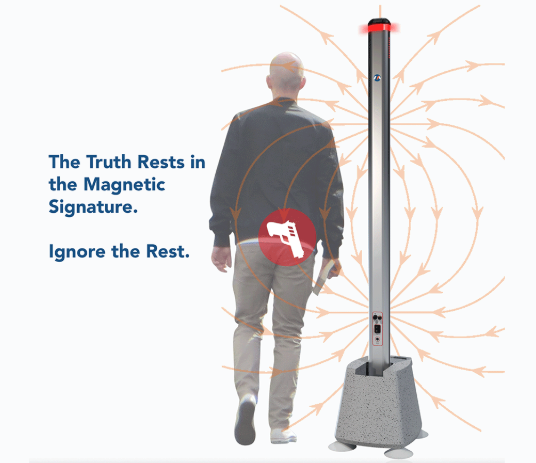 Direct the flow of people past the sensor, using zip stanchions or whatever is handy, and your first perimeter checkpoint is ready to go. People, and maybe more importantly luggage, will flow past and you can pull out only those that cause an alarm for a secondary search. Convention centers, stadiums, and hotels would find this invaluable. Even high tech companies, where large electronics are expected to be present, can use this type of scanner since it will not alarm on these electronic devices. Douglas explained that these are passive devices so they won’t interfere with pacemakers, implanted medical devices, or harm pregnant women. They also have dry contacts that can be connected to a mass notification system or PSIM. Maybe instead of, or even in addition to, sensing for large weapons you need to scan for very small items. Reverting to tried and tested security principles, such as expanding and securing your perimeter, is a wise move. Scanning for large prohibited items at the earliest possible point will give you more time to react and mitigate the threat. It’s not necessary to find all contraband at the first checkpoint. Eliminate the threat of very large mass casualty weapons first and far away, then scan or search for less-lethal devices.